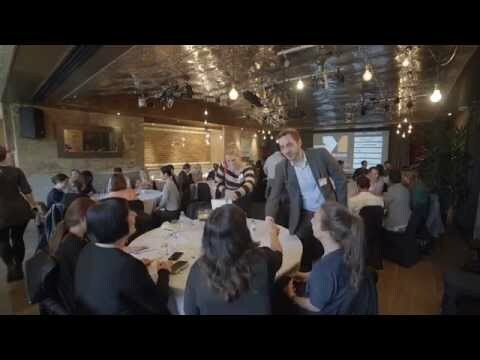 The Digital Marketing Masterclass was last held in Vancouver on Thu, 4th April 2019. The Digital Marketing Masterclass in Vancouver is a highly efficient, half-day conference designed to help you understand and implement the latest in digital. Braden is the SVP, Marketing at Herschel Supply Company, a design driven global lifestyle brand renown for their signature carryalls and travel accessories. An experienced executive focused on leadership, brand marketing, and strategy, Braden is most intrigued by the way brands work to engage consumers by providing innovative solutions to real problems. He believes that achieving success in today’s marketplace requires a comprehensive understanding of how technology, data, creative problem solving, and customer voice come together—combined with hard work and tenacity. Michael Preuss is an experienced UX designer with a background in front end engineering. He has created businesses and loves building world class teams. Currently the User Experience Manager at Lululemon, Michael manages purpose driven, passionate team members working to optimize the Lululemon digital experience. Tourism Vancouver is registered to attend the Digital Marketing Masterclass in Vancouver on April 4th. Saje Natural Wellness is registered to attend the Digital Marketing Masterclass in Vancouver on April 4th. QuadReal is registered to attend the Digital Marketing Masterclass in Vancouver on April 4th.